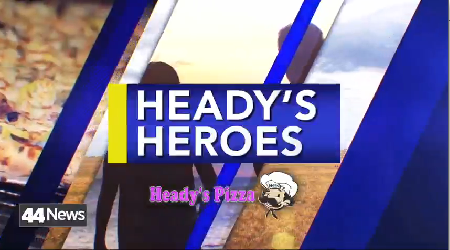 44News and Heady’s Pizza have partnered up to celebrate those who devote themselves to serving in our community, and what better way to do that, than with a bunch of free pizza! This week’s Heady’s Heroes are the volunteers at Evansville Christian Life Center! Based in Evansville, Indiana, Evansville Christian Life Center is dedicated to the restoration of people. Their mission is to make a life changing spiritual impact that will restore people to productive and independent living, and to effectively meet the emotional, physical, and spiritual needs of families and individuals. We thank the volunteers at Evansville Christian Life Center for all they do in the area.